In general, property law is state law. There are a few exceptions and one of them is Spousal Consent to change a beneficiary on qualified plans. Many employees are surprised to find out that they must name their spouse as primary beneficiary of their retirement benefits unless the spouse consents to their naming another beneficiary. I’ve often thought this provision was unconstitutional but since its enactment in the Retirement Equity Act 1984, it has survived unscathed. Doesn’t it sound odd to you that your compensation, for your labor, is not under your control? Aren’t your earnings your property? Since when does your spouse have a right to receive part of your pay? Of course, these plans, like any other asset have always been reachable in a divorce property settlement. But the federal law is that even without any divorce or separation, the spouse has a property right. 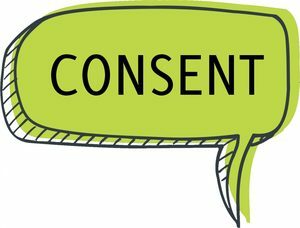 It is very important to address this issue in a pre-nuptial agreement so that the spouse is contractually obligated to sign a consent. Getting this right is important and there is much litigation over whether purported waivers in pre-nuptial agreement are effective to satisfy ERISA’s requirements. One very important exception is that this requirement does not apply to IRAs. If you take a rollover from your 401 (k) and put it in an IRA – the spousal consent provision do not apply. Recently I had occasion to run into a financial institution who took the position that even though the law didn’t require it, they were requiring spousal consent to change the beneficiary of an IRA. It was an internal policy only. What the heck? They think they can create property rights? If you run into this situation, and can’t get the financial institution to see the light, move the account to a financial institution that follows the law and doesn’t add their own paternalistic requirements to your property.